Hello, I am a fawn; or in other words, a baby deer. I am usually born in the summer, and have a red coat and white spots. However, as I grow older, I lose my spots and I get a winter coat. Did you know that I can outrun a human when I am only a few days old? 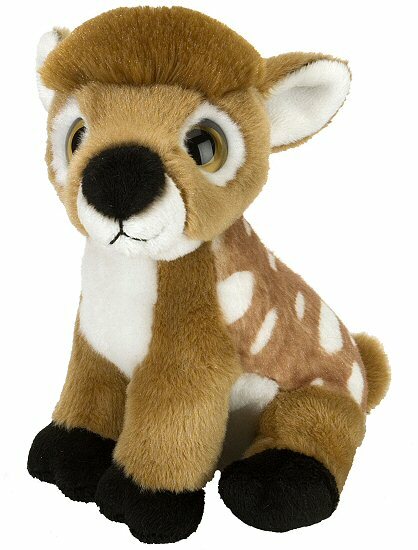 A portion of the proceeds from the sale of this Wild Watchers fawn stuffed animal help support foundations for disadvantaged children and abandoned animals. Fun Facts: Did you know that my spots provide me some camouflage in the forest? They help me stay hidden from predators like mountain lions and coyotes.